Jimmy Carter has cancer, he says in a statement. 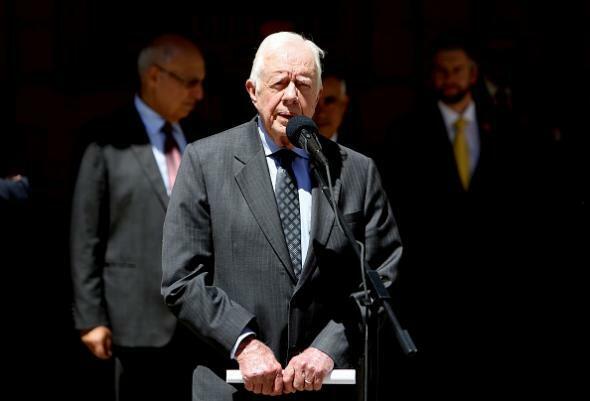 Jimmy Carter speaks at an appearance in the West Bank on May 2. Carter is 90. * All three of his siblings died in 1990 or earlier of pancreatic cancer; the disease contributed to both his parents’ deaths as well. *Correction, August 12, 2015: This post originally misstated Carter’s age.